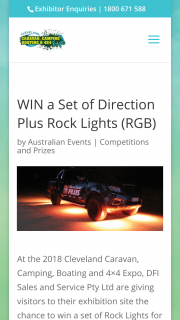 At the 2018 Cleveland Caravan, Camping, Boating and 4×4 Expo, DFI Sales and Service Pty Ltd are giving visitors to their exhibition site the chance to win a set of Rock Lights for your vehicle, valued up to $270.00 ! 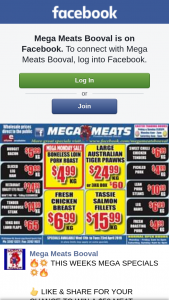 Prize, and for terms and conditions, simply visit DFI Sales and Service Pty Ltd at site number OS314, at Norm Price Park, Cleveland Showgrounds from September 21 – 23. prize, and for terms and conditions, simply visit DFI Sales and Service Pty Ltd at site number OS314, at Norm Price Park, Cleveland Showgrounds from September 21 – 23. To win a set of Rock Lights for your vehicle, valued up to $270.00 !